I am a Beyoncé fan. I feel like that needed to be stated before I get into this – the last thing I need or want is Queen B’s Hive after me with pitch forks. It’s not news that Bey recently gave birth to twins, Sir and Rumi. While we’ve known that these #blessed children were born at 5.13am local time on June 13, 2017 (is it weird that Google could tell me that? 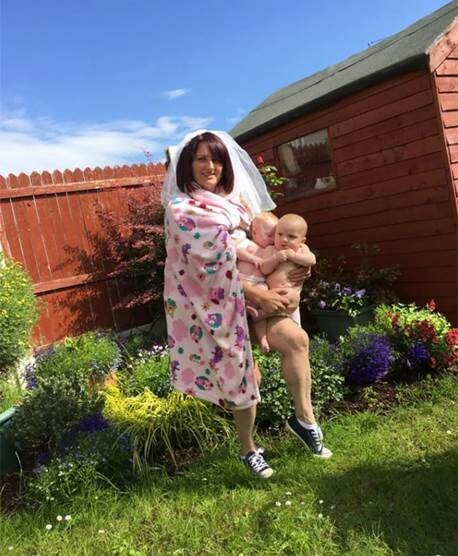 ), the Queen just recently took to social media to give the world its first glimpse of her bundles of joy. The photo was…. interesting. 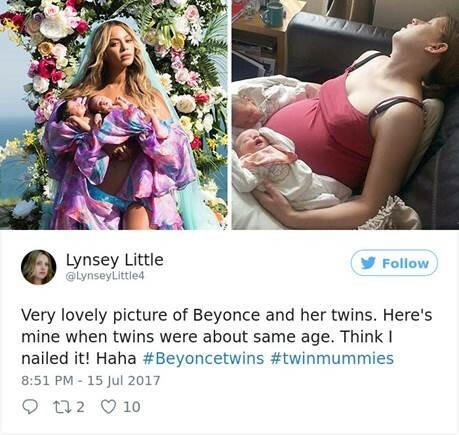 In true Beyoncé form, the mega star posed holding both babies, in a flower crown, with a veil and an alter in the background. Speaking of the setting, I should also mention that she is just casually chillin’ at a $400,000/month Malibu compound that she and Jay are currently renting. Normal. 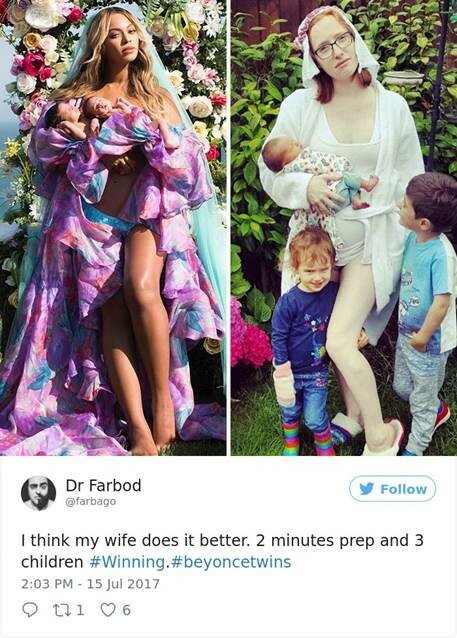 Reality is most new moms don’t have access to the conveniences, plastic surgeons and full-time help that Queen B does. Luckily, a few of these ordinary families decided to hilariously showcase a more accurate portrayal of parenthood, and the Twitter posts are everything. Kudos to these ladies for showing the world that it’s not all sunshine and roses immediately after popping out little humans. Slay, moms, slay.